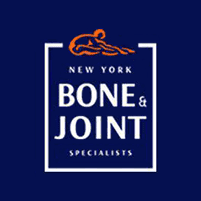 Knee pain is among the most common complaints that bring patients to the care of Dr. Leon Popovitz and the team at New York Bone & Joint Specialists. For many in the Upper East Side and Midtown West neighborhoods of Manhattan, the practice is a valued resource for knee pain and all other orthopedic conditions. To learn more, book a visit today. Online scheduling is available, or you’re always welcome to reach the office by phone. What type of knee issues require surgery? Your knee joint is among the largest joints in your body, and is a critical part of mobility. The components that make up your knees allow you to run, walk, and bend. When any of these components is damaged or begins to degenerate, knee pain follows and surgery is sometimes needed to correct the issue. That said, it’s possible to address certain levels of damage without surgical intervention. If arthritis or another condition causes your cartilage to wear down, a full or partial knee replacement might be the best treatment option. How are soft tissue knee injuries repaired? There are a number of surgical approaches that can repair damage to the soft tissues within your knee joint. These surgeries can often be done arthroscopically, using slim surgical tools and a special device equipped with a tiny light and camera. In some cases, a traditional open surgery is the best option. In the instance of a slight meniscus tear, trimming a portion of the affected cartilage can ease symptoms. Larger tears can be surgically repaired, although recovery time is longer because your meniscus has a limited blood supply. It’s even possible to have a meniscus transplant. If you suffer a torn ligament, reconstruction surgery can help restore proper function, while also relieving pain in the knee joint. Tearing or rupture of your patellar tendon can also be repaired through surgery. What is the recovery process like after knee surgery? If you have questions or concerns about knee surgery, book a visit online or by phone with Dr. Leon Popovitz, one of the best knee surgeons in NYC.